1762-68 Vista Del Mar Ave. Visiting for the first time? You’re in for quite a treat! There are endless attractions, sights, and activities in Hollywood Hills that are unlike any other you will find in the country. Due to its proximity to cultural, entertainment, and nature centers, Hollywood Hills is a top destination for vacationers. A walker’s paradise, visitors will find it easy to quickly go from one exciting destination to the next. Make your visit to Hollywood even more enjoyable by adding these must-see places and more to your list. Staying in Hollywood Hills is perfect for those that like to be on the move since it’s located around some of the best walking and hiking trails in California. These aren’t your routine nature walks either. No matter where you go around Hollywood Hills, you are sure to have a breathtaking view of the city. Walking through Lake Hollywood Park offers unparalleled views of the Hollywood sign. You can also walk or hike through Griffith Park, eventually making your way up to the Griffith Observatory. The Griffith Observatory does not charge for admission and is an excellent way to see Hollywood, Los Angeles, and the surrounding area at night. For a nominal charge you can also take in a show in the planetarium. 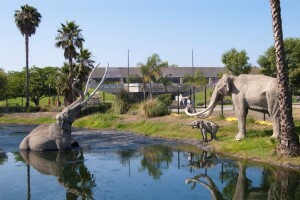 A short distance from Hollywood Hills is another world-famous attraction: the Los Angeles Zoo. The zoo is a great way for families to spend quality time together and see animals from around the world. Hollywood Hills is also centrally located for those wishing to live like a movie star while on vacation. In addition to being close to Hollywood, where you can see the Walk of Fame, Hollywood Hills is not far from Universal Studios and CityWalk. You will be able to see where iconic movies and TV shows were filmed when you take the Universal Studios Backlot Tour and immerse yourself in the magic of Hollywood. For the older crowd, Hollywood nightlife is never too far away and you can catch a show or concert at any one of the historic clubs located on Hollywood Blvd. or Sunset Blvd. No matter what draws you to the area, staying in Hollywood Hills puts you right in the middle of all of the action. Learn more about renting a suite for your stay by contacting Hollywood Hills Suites via email at [email protected] or by phone at (323) 218-0090. Must-See Hollywood Landmarks Both Old and New! The Roosevelt Hotel – The Roosevelt Hotel is one of the more famous spots in Hollywood and has a long history of catering to celebrities from all over the world while they are in town. Built in 1927, the Roosevelt was the site of the first Academy Awards presentation and has hosted such stars as Clark Gable, Errol Flynn, and Marilyn Monroe. There has been a recent interest in the Roosevelt by the Hollywood crowd lately; the hotel’s nightclub has become a popular local party destination. The history of this landmark hotel, mixed with its resurgence among residents and visitors, makes it one place you need to see when you go to Hollywood. The Hollywood Bowl – The Hollywood Bowl is an outdoor amphitheater nestled in the Hollywood Hills and is known for being the largest natural amphitheater in the world. Since it was built in 1919, the Hollywood Bowl has been the site of symphonies, orchestras, concerts and even presidential addresses. It has been featured in classic movies over the years and some of today’s top musical artists make it a point to play a show at the Bowl as part of their nationwide tours. Just a few blocks north of Hollywood Boulevard, the Bowl is free and open to the public during the daytime hours so you can explore the grounds before going to a concert. The Hollywood Sign – The Hollywood Sign is known around the world as an unofficial “Statue of Liberty” in the entertainment industry; when you’ve seen it in person you know you’ve reached your destination. Originally spelled out as “Hollywoodland” to promote a new housing development in 1923, the sign can be seen from a variety of locations throughout town. In addition to catching a glimpse of the sign from Hollywood Boulevard, you can head to the Griffith Observatory or Lake Hollywood for clear views that are perfect for photos. Hollywood and Highland – The shopping and entertainment center at Hollywood and Highland is not to be missed for any visitor to Hollywood. Located just steps from the Chinese Theatre and the Kodak Theatre, which hosts the Oscars, Hollywood and Highland puts you right in the heart of what Hollywood has to offer. Take a stroll down the walk of fame, get photos of the Hollywood Hills and the Hollywood sign, and explore the complex itself, which is on the site of the original Hollywood Hotel. To make your reservations for your next trip to Hollywood, call Hollywood Hills Suites today at 323-218-0090. Looking for something fun for the whole family? Hollywood is the place to be! 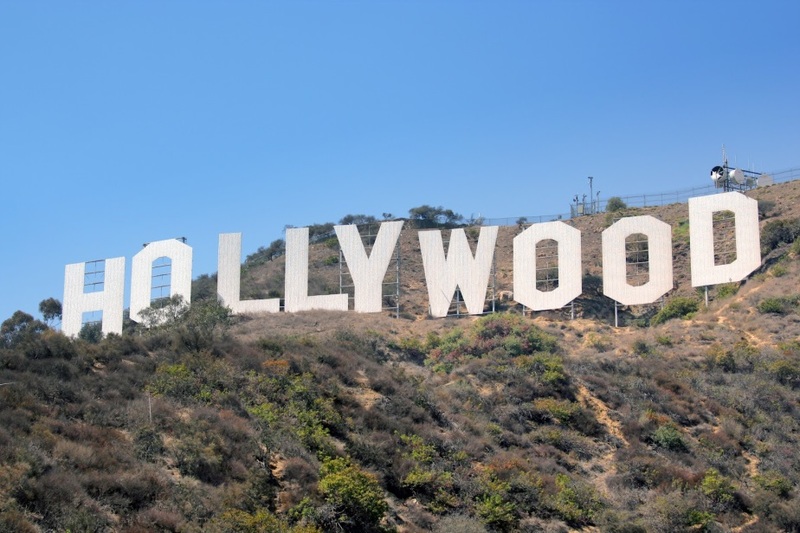 Hollywood, and the Los Angeles area in general, is a premier destination for tourists from all over the world. A quick look at all that Hollywood has to offer will convince you there is no place you and your children would rather go! Once you find the perfect place to stay in Hollywood, you’ll be able to take your family to enjoy experiences and attractions you won’t find anywhere else. Hollywood is the entertainment capital of the world. As such, it is home to some of the most historic and iconic places in the entire industry. Head down to Hollywood and Highland to explore the entertainment complex, or take your time walking through Ripley’s Believe It or Not! and Madame Tussaud’s Wax Museum to see your favorite stars as you never have before. You and your family can also see the Hollywood Walk of Fame and take pictures with some of your children’s favorite television characters outside of the TCL Chinese Theatre. If shows are more of your thing, check out what’s playing at the Pantages Theater so your family doesn’t miss out on some of the best productions on the West Coast. Of course, Hollywood is also centrally located between major theme parks in Southern California. From where you are staying in Hollywood, it is a short drive to Universal Studios, the place where some of the most treasured movies and television shows in history were filmed. 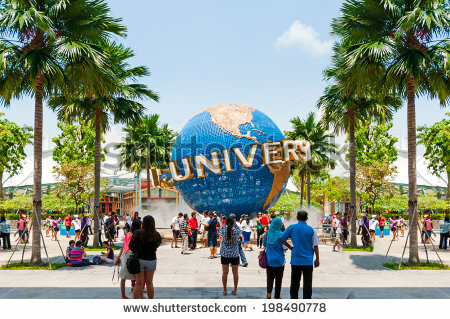 The theme park contains rides for the whole family based on famous movies and programs, as well as interactive shows, concerts, and much more. You and your kids will love the Backlot Tour, which takes you on a trip through classic sets from “Jaws,” “How The Grinch Stole Christmas,” and “Desperate Housewives.” If you’d like to cross a few other theme parks off of your bucket list while in Hollywood, you are just a short freeway drive from Knott’s Berry Farm, Six Flags, and Disneyland as well. A main reason why Hollywood is so popular for vacationing families is that there is just so much to explore. The Hollywood Hills are home to the world-famous Hollywood Sign, as well as Griffith Park. Visit the Griffith Observatory to get breathtaking views of the southland, learn about animals from around the world at the Los Angeles Zoo or go on a shopping spree down Rodeo Drive. Wherever you turn, there is something new to discover. Just outside of Hollywood are the La Brea Tar Pits, where your kids can learn about dinosaurs and the Ice Age, as well as stare in wonder at the Aquarium of the Pacific. Taking everything into account, it is easy to see why Hollywood is one of the best places to take your family on vacation. To learn more about what Hollywood has to offer and to book your accommodations call Hollywood Hills Suites at 323-218-0090. Hollywood, California is known the world over for the glitz and glamour of the movie- business. Millions of people visit the city each year hoping to spot some of their favorite celebrities. What many tourists will inevitably realize is that without a good plan laying out the attractions and “hot spots” they will visit, their trip may not get them anywhere close to a star gazing. Buy Your Own Groceries — Staying in a suite with a fully-equipped kitchen will give you freedom to prepare the meals you and your family or friends enjoy, while also giving you a good reason to go to the local grocery stores. Even celebrities have to eat, and chances are t you’ll spot them shopping for food in the nearby Gelson’s on Franklin. Take a Walk along Sunset Strip — An experience in itself, walking along the boulevard will give you the opportunity to spot stars dining, nightclubbing, and having a good time. It’s easy to spot the stars; just follow the paparazzi! Take a Stand with the Paparazzi — There is a valet parking stand that makes it easy for paparazzi to get photos of stars as they enter and exit Barneys New York, a popular shopping place for celebs. See the Entire Family — Celebrities and their kids are often seen at the Studio City Farmers Market where the little ones can enjoy pony rides and the petting zoo. Take Shots of Stars on the Red Carpet –TCL Chinese Theatre offers a popular spot for seeing stars as they take the walk down the red carpet for movie premieres. Enjoy Open-Air Shopping at Its Finest — The Grove is an outdoor mall that sits beside the Farmers Market, giving stars an authentic shopping and dining experience. Enjoy a unique shopping experience while you are on the lookout for the stars. Rub Elbows with the Hollywood Elite — Many celebrities enjoy getting into their casual attire and shopping at the boutiques and galleries at the Malibu Country Mart. Watch Out for New Celebrity Hairstyles — Chris McMillan is the most popular hairstylist in Hollywood, creating the Jennifer Aniston cut for her “Friends” character, and many others. Follow Stars That Are Trendy Shoppers — Fred Segal is the ideal spot for finding celebrities who are shopping for the “things” they can’t live without. Hang Out at the Los Angeles International Airport — When stars come back into town, they have to pick up their luggage at the baggage terminals just like you. Also, check out the lower levels, where art shows are often staged and frequented by the stars. One of the best ways to go celebrity-spotting during your Hollywood vacation is to stay in Hollywood where all the best locations are within an easy walking distance or short cab ride in either direction. To learn more about the fully-equipped suite selections from Hollywood Hills Suites, or to make your reservation, call 1-323-218-0090. Copyright © 2019 Hollywood Hills Suites. All Rights Reserved.